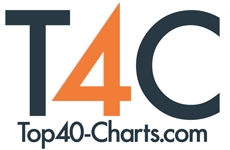 New York, NY (Top40 Charts) Like Jay-Z before him, Quadri is aiming high with not only his music but also his brand. Quadri's new single, Fire, showcases his immediately engaging easy-going urban pop style with lyrics that tell of a life which has seen its share of set-backs and adversity. Fire is the turning point for Quadri, as he becomes the musical phoenix rising from the ashes, keen to prove his doubters wrong and put both his music and name out there to be judged by the people who really matter. Fire highlights Quadri feeling 'fresh out the can': to music producers and sound engineers 'can' represent headphones, whereas in the urban community 'can' represents jail (mentally for Quadri). Fire goes on to emphasise the grand plans and visions Quadri has for his future. These plans include Qh, the clothing brand he is developing to not only stand alongside his music but to take on a life of its own, not to mention the recording studio he established and built from scratch in his hometown of Bexley. Influenced by grime pioneers like Wiley and producers such as Timbaland, every element of Fire has Quadri's fingerprints on it; from composition, to production to engineering. With this determination and self-belief, you can expect Quadri to move seamlessly from his successful production work for others to his own pathway to success.